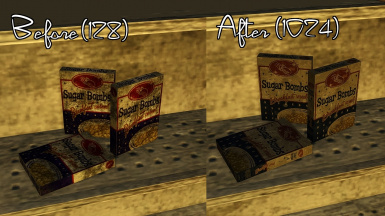 Replaces the vanilla food packaging, Abraxo Cleaner and Box of Detergent textures with some more colorful, detailed ones. - sELFiNDUCEDcOMA for great help and weathered texture files! - Arm and Hammer Washing Soda, courtesy of Creative Feed. 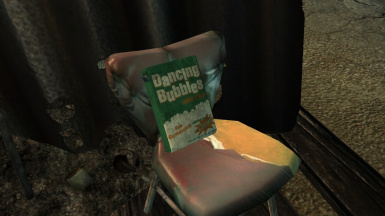 - Dancing Bubbles, courtesy of Retro Planet. - Sugar Bombs label based on the beautiful printable by NeXXt. Thanks for the hot files guys, you rock! 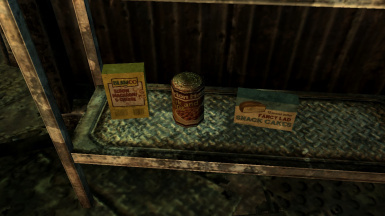 I love to eat delicious snacks while roaming the wasteland, but the bland textures included in the vanilla game always bothered me. After some thought, I decided to try and see if I could change them. My first retexture for this game! 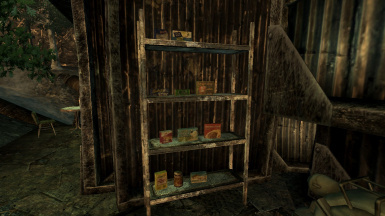 I came across sELFiNDUCEDcOMA's fine Better Food Textures mod while searching, and loved some of them. 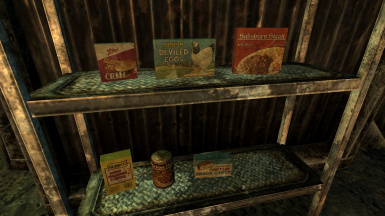 I however wasn't big on the idea of renaming the food, and the plugin requirement made the mod not compatible with Simple Needs. Therefore I set upon reverting them to their old names, giving them some flair, and of course, removing the need for a plugin. sELFiNDUCEDcOMA kindly allowed me to use some grimy textures from Better Food Textures here, for which I'm deeply thankful. 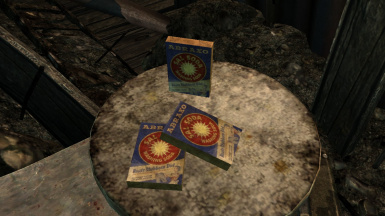 Also, for fun, I made a small retexture of the Abraxo Cleaner, based on Arm and Hammer Washing Soda, since all retextures I found tend to change the brand. The colors are pretty different from the original, so I'll leave it as an optional file for anybody who may be interested. 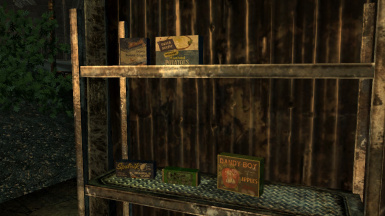 There's also a nice retexture of the Box of Detergent, based on Dancing Bubbles, for a nice variety of color. 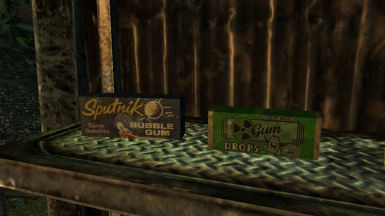 There's also a high-resolution texture of the Sugar Bombs (vanilla style) in 1024, 512 and 256. 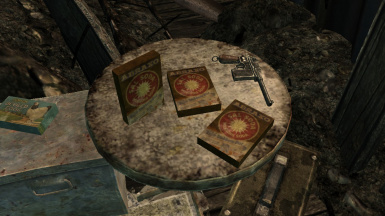 I looked around for some nice retro-looking labels, although some of them may be a bit off the time setting of the game. I personally think they look great nonetheless. 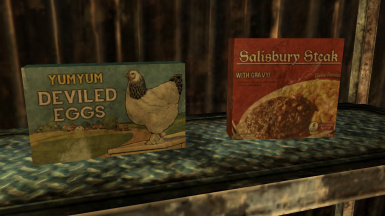 To install, extract the file to your '\Fallout 3\Data\' folder. That's it!